Photo by Digital Magic Photography & Design. A UMBC alumna, Diane has over 20 year’s professional experience in career development in higher education. 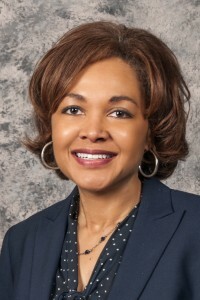 Prior to returning to UMBC, she worked as a recruitment and placement specialist for Baltimore County’s Community College system. Currently, she oversees the Center’s Career Specialists team, Career Peer program and educational and training components. She continues to counsel students to help them realize their passions and dreams. Diane is an active member of the Maryland Career Consortium, Maryland Career Development Association and the Eastern Association of Colleges and Employers. She also serves as the campus coordinator for the annual Black Engineer of the Year Conference sponsored by Career Communications Group. Diane is a former Professional Staff Senate president and a former recipient of the Student Affairs Outstanding Staff award.